Without any explanation you might think the picture at the left has something to do with the Thanksgiving/Christmas holiday season. The colors may seem unique but the words (if you read Spanish) saying Happy Holidays lead to the same conclusion. In this case however the City Hall in Casco Viejo is all decked out for the nearly month long celebration of Panama’s independence from Spain and then Columbia. 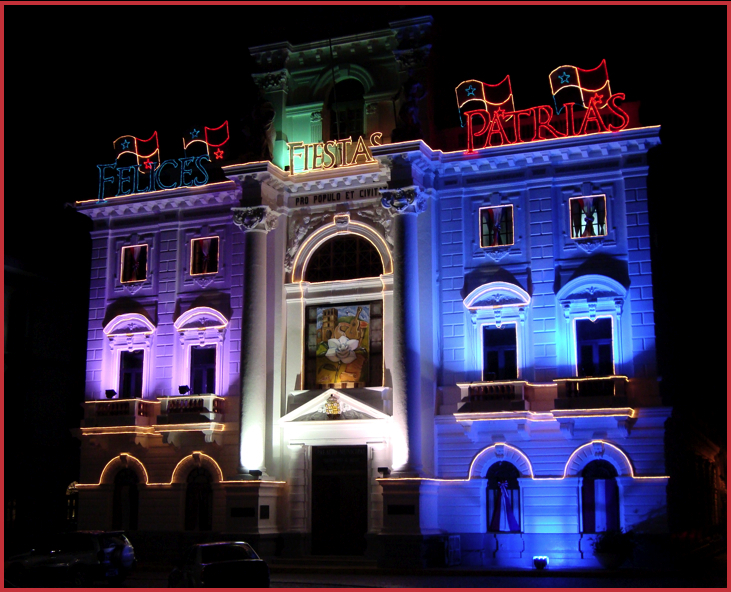 We’ve had numerous “official” holidays already with the big celebration coming this Friday, November 28th, with the celebration of Panama’s independence from Spain in 1821. Several big parades will take place - but surprisingly Casco Viejo will be eerily quiet with no government workers around and the narrow streets not very conducive to big parades. We will just watch the fireworks across the bay and avoid all the excitement. Enjoy your holidays, whatever they celebrate and wherever you are. Take care.